Autumn is coming - time to start updating the Filofax! Well I don't know about where you are but for us here in Cambridgeshire, UK, the nights are drawing in, it is getting colder and it feels like we are saying good bye to Summer. I really don't think it is going to be all that long before Autumn is in full swing. We have already taken advantage of Autumn creeping in, Mr B has been forraging for blackberries and has delighted me with a home made blackberry and apple crumble. Yum!! So when I start to think about Autumn I naturally think about Halloween too. I genuinely love all seasons but I think Autumn through to Christmas is my favourite time of year. It was time to get the paints out and I felt drawn to painting Autumnal art. When I think of Halloween I think of dressing up. My Mum was alays very imaginative with costumes. 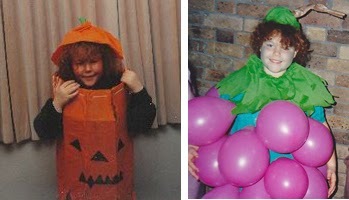 Here is me sporting a cardboard box covered ib crepe paper as a pumpkin (left) and me covered in balloons, yes balloons, as a bunch of grapes (right). Notice how co-ordinated I was with a matching hat and stalk too in both pictures. I remember winning first prize in a competition at school for the grapes costume ha ha! 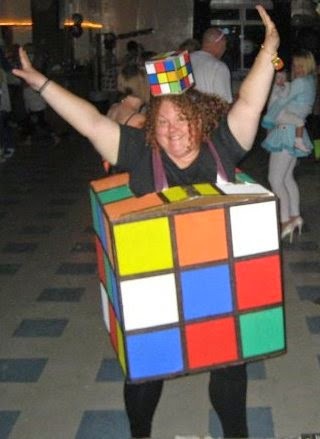 I love dressing up even now as an adult, here is me at my friends 30th birthday four years ago in a box I painted to look like a Rubik's cube - notice the matching hat too! Totally bonkers! I wore it all night as well! 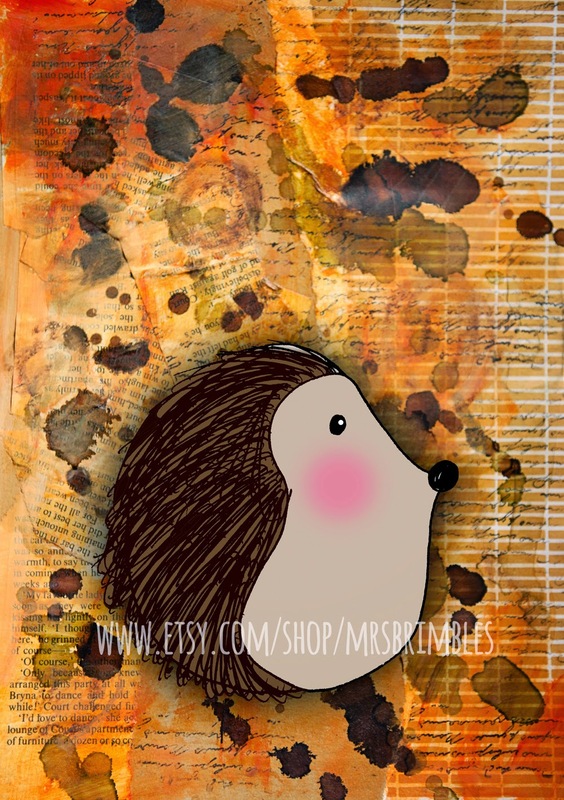 And to me I think of little critters like hedgehogs snuggling in the fallen leaves. 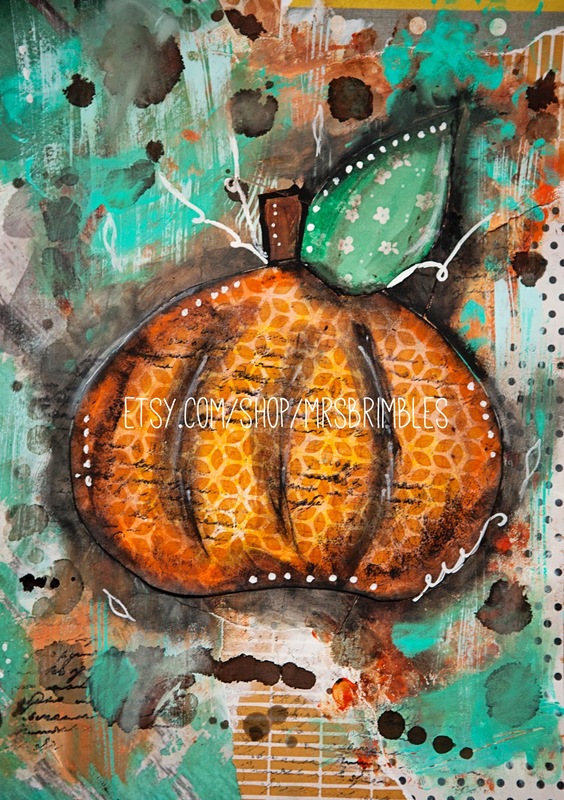 I already had this guy for insets but I thought he deserved his own Autumnal background, what do you think? 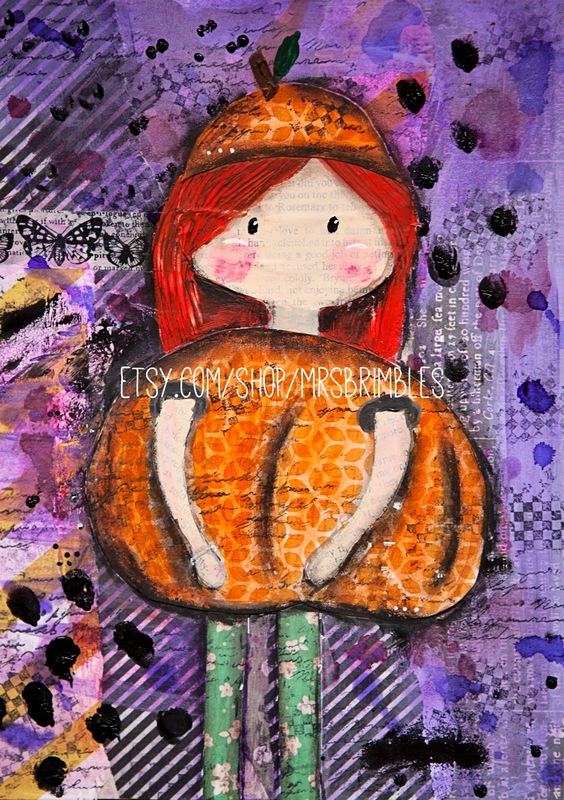 And then last but by no means least I decided to paint a pumpkin because for me pumpkins well and truly symbolise Autumn. I love inventing and trying new pumpkin recipes and seeing how much I can make from the one pumpkin! I hope you like them. 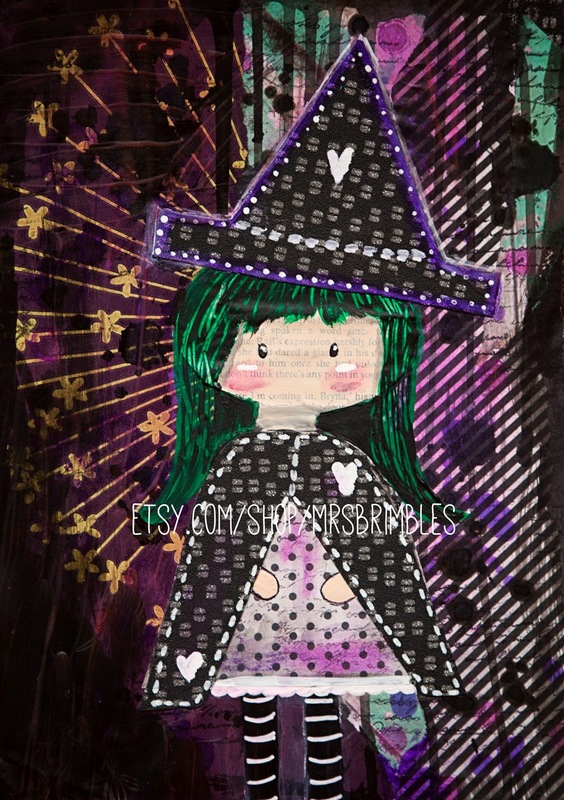 For me right now it is time to snuggle with a nice book and a cup of tea and maybe my art journal for more Autumn inspired art. Well it is that wonderful time of the month again folks, the time when a lovely courier lady knocks on my door and hands me a beautifully wrapped package which I know is going to be jam packed full of yummy stationery goodies and goodies for my Filofax too! I am a bit late in sharing this with you this month but if you saw my 'an update from me' post you will understand why. I have the help of my glamorous assistant Mr B to help me with the unwrapping part so you will get to see his hands. So lets crack on. Firstly I just want to talk about that outer wrapping. Aren't the unicorns just so pretty, I love them. I always show you the packaging as I think that is just as lovely as the inside! And on the inside yet more lovliness. Hot pretty are those mint pompoms and those purple butterflies. Excuse the pun but they gave me butterflies alone! In fact if you watch the video you will hear Mr B say 'it is like Christmas'. I didn't ask him to say that he just spontaneously said it so you know it has his seal of approval! So what was inside the box? Well there was the usuasl sewquins, pom poms and sweeties which make my heart go boom every time. 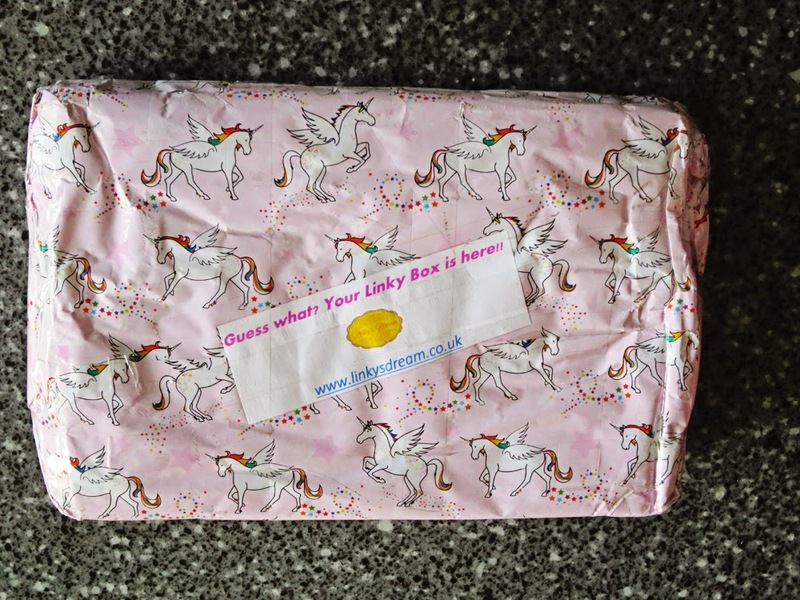 Then there was a selection of lovingly wrapped items in the cutest rainbow and cloud tissue paper. 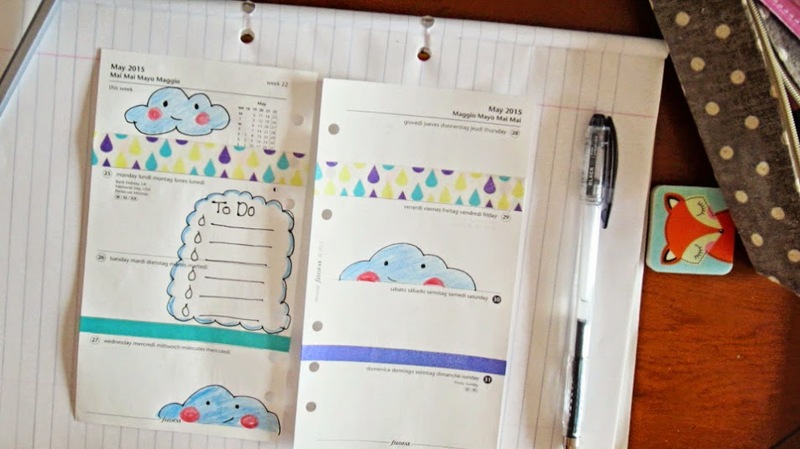 I know I am like a stuck record sometimes but I really do love my clouds (bunnies and stars!). 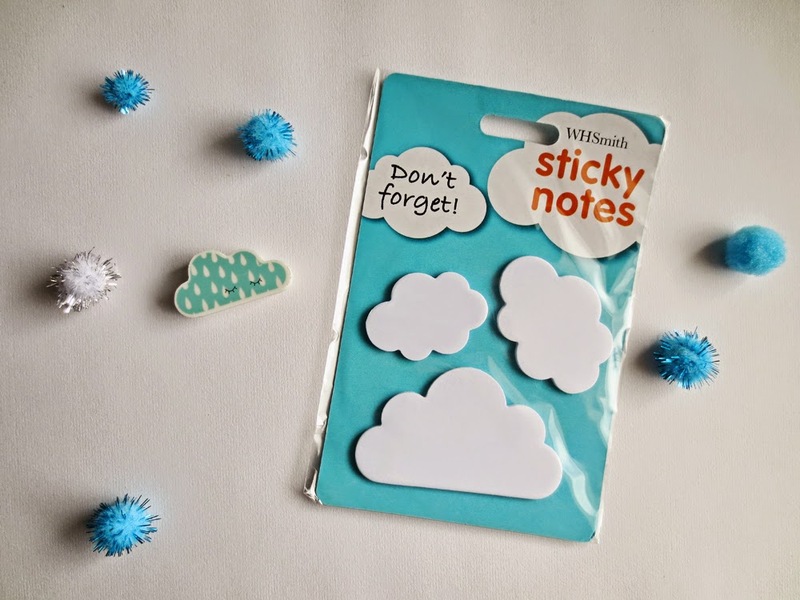 I absolutely ADORE these cloud sticky notes and cloud eraser. I don't even know if I will be able to use them, I might just have to look at them! 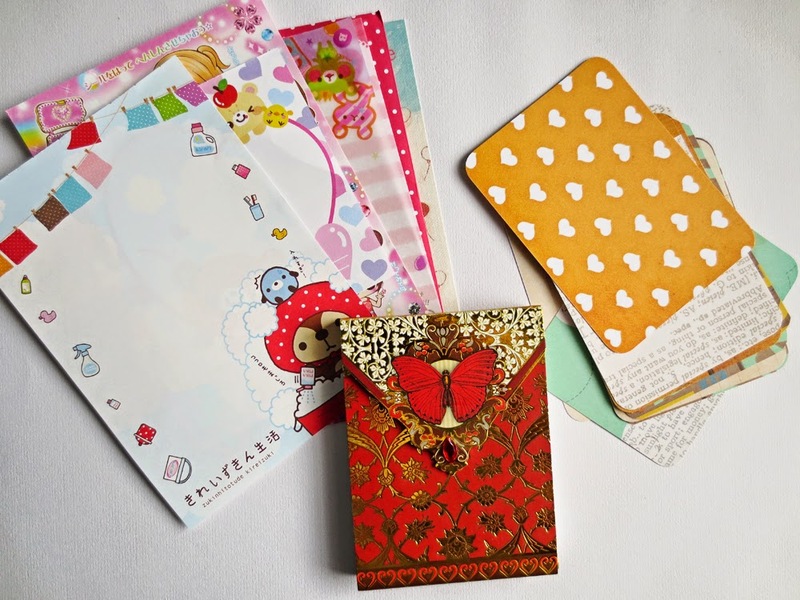 There was a lovely selection of project life journal cards which I love to use in my journals, a cute little butterfly notebook and a selection of cute kawaii papers. 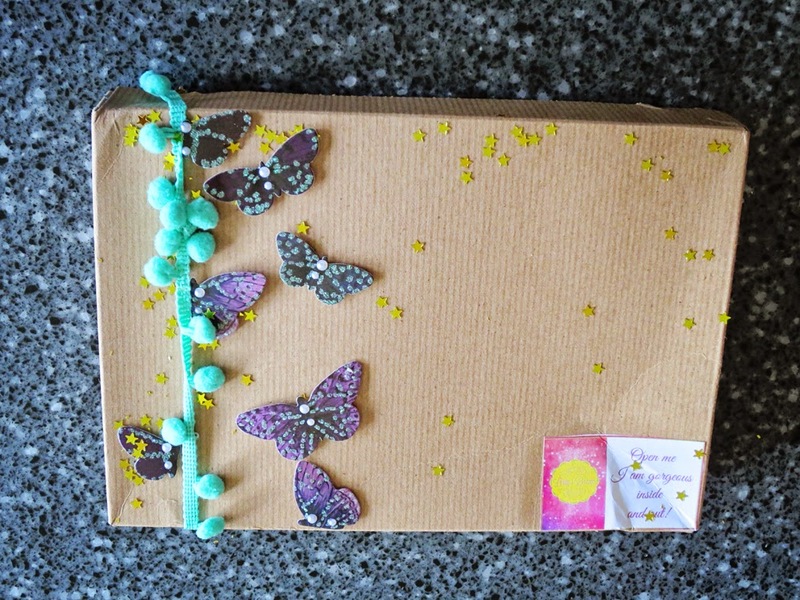 For my personal size Filofax I got some adorable butterfly lined paper and a fab dashboard. I love the geometric design. What other yummy bits? Oh yes some super cute stickers, just look at those bunnies! 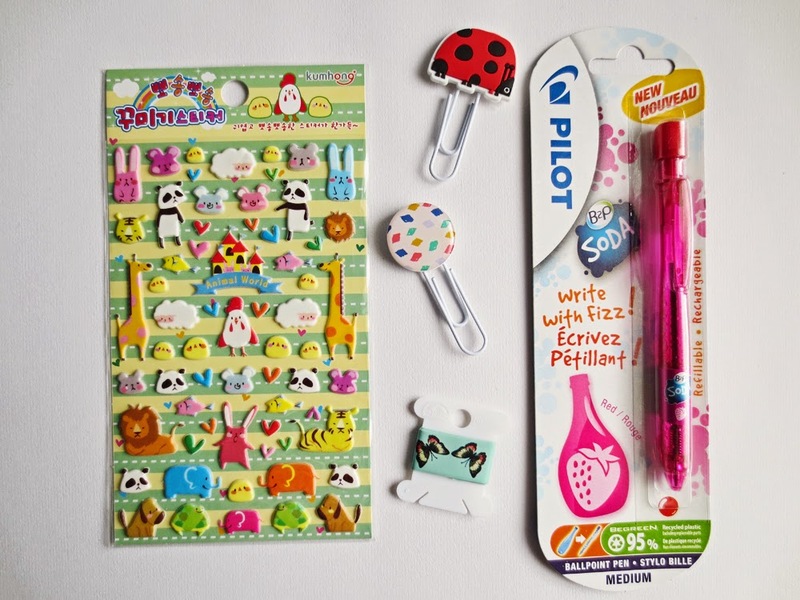 Washi tape sampler, two paperclips and a Pilot soda pen which I am really intrigued about. And lastly but by no means leastly as I love everything in my box, for the arty / crafty person in me I get an alcohol blending marker, a pain brush (can never have enough of those - I use and abuse mine! 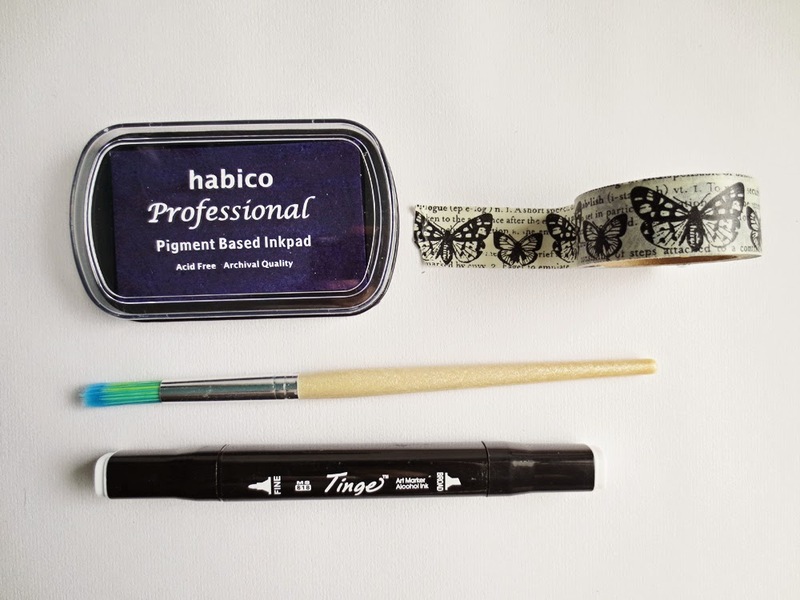 ), washi tape and an ink pade in the most gorgeous purple colour. So all in all another fantastic box. If you agree why not get one too! They are very popular so I would act quickly. Themed Christmas and Valentine's boxes are ready to order now too! I know everyone's boxes are different as she tries to cater to your needs. If you would like to see what someone else got why not head on over to Amanda's blog: She's Eclectic as Amanda has posted what she got too. Beck's from Just Keep Pinning also did an unboxing video on her Youtube channel. Whilst each box is different you get a better feel if you think this is something that you would like to get. When you have no inspiration but want to create and journal anyway! I think they say it is a sign of getting older when you feel like the weeks are rushing by but seriously I really do think that they have. I have not had a chance to get to my journal all week due to various events and then when I have time I don't always have the energy. I often say though that when I have had times away from my journal that it pulls me back eventually. There is never a very long period when we are absent from each other we just can't bear to be apart for too long, really we can't. Today I wanted to create. I wanted to spend time in my journal. I had absolutely no idea what I wanted to do and I had no inspiration either. I mentioned at the very begining of this mini series that sometimes you just are not inspired but you want to create for the sake of it anyway and today for me is one of those days. This is quite a complex page and the process of how it came to be but I explain it all in the video. Where to start? Well for starters my desk was a right state, nothing was getting done unless that desk got tidied, I didn't physically have the room to work even if I wanted to. Tidying your desk is a good thing though as you sometimes uncover things that inspires you to create and this instance it did. Whooop whooop! I found some pictures I had ripped out of a magazine that my mother in law had given me. I don't buy magazines my self but now and then I get passed an old one. There were several images that caught my eye so I decided to take them out and save them. I felt like using one of those images today and just collaging because I enjoy nothing more than spending time with a glue stick and scrap paper. I don't know what it is but I find it very therapeutic to sit and stick stuff down. I think it is a time when you can be creative and let go but not have to think too hard, it can be almost medatative. Some times it can be hard to use papers as I have a tendency to hoard them so it is also good for me to just let go and stick them down. I like to also give the page some context or meaning with words but nothing was coming to me either but with the help of my faithful Pinterest I was able to find my way with some rather fitting and choice words. 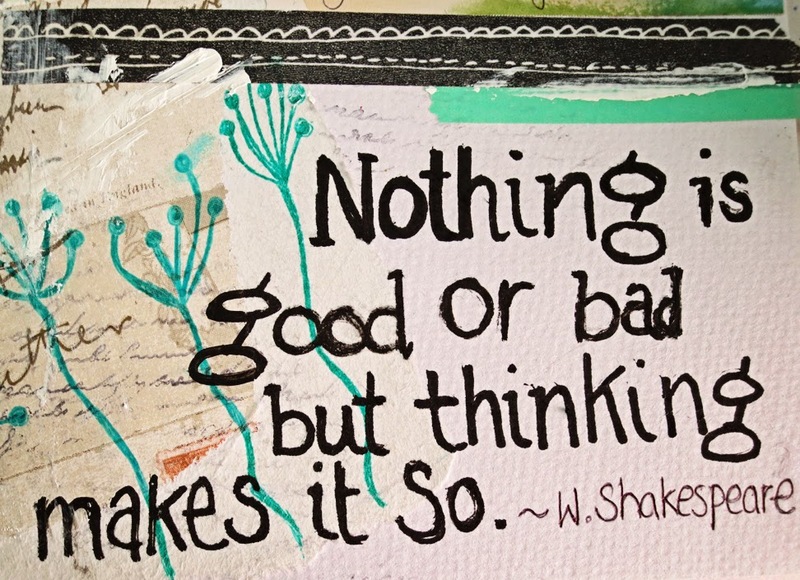 I am an over thinker, I am terrible for it which is another reason why journalling is good for me! 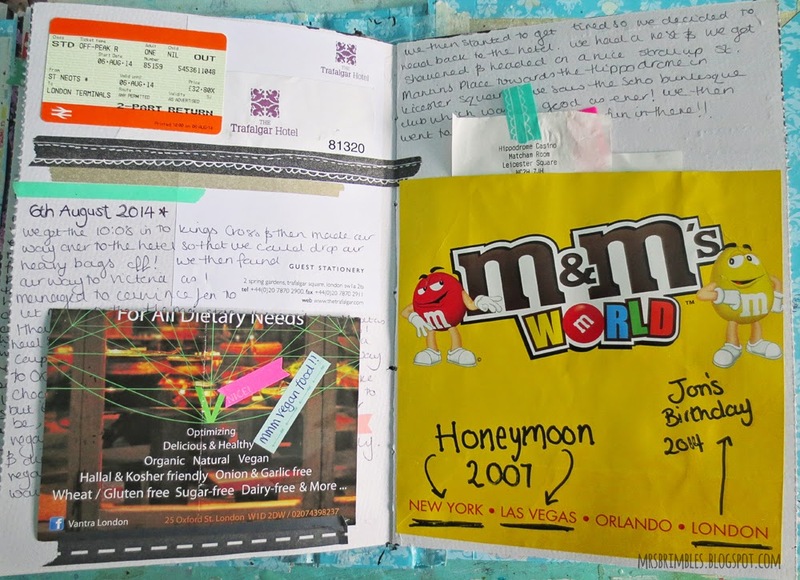 Last week I shared with you the pages that I had created as part of the Filofax Blogger Challenege to 'Pimp my Filofax'. Firstly before I go any further with this week I just wanted to say a massive massive massive (yes three massives') to everyone that voted for me. The competition was incredibly fierce with some amazingly fantastic entries and so I am very blessed, honoured and grateful that you voted for me and I am delighted to say that I came second. This is great news for me as this now means that I will be sent three brand spanking new Filofaxes from Filofax which I am able to give away to you guys! Whooop whooop! What I will probably do is give two away on the blog and one over on instagram so if you don't follow me there go and follow me so you will know when this goes live. Also a big congratulations is due to DIYFish for coming first and also to my fellow runner up Letters in November, both of which will also have Filofaxes to give away so if you don't already follow their blogs you might want to. So watch this space for further details which I am sure will not be that far away! So on to this week and following on from last week where I showed you the pages that I created, I had a large number of people asking for more help, ideas, share on how I created the pages and how I doodle on my pages. In fact I get asked very often about page decoration and how I decorate my pages in general. I am thinking of maybe doing a page decoration video every month or so what do you think? Let me know if this is something that you would like to see. 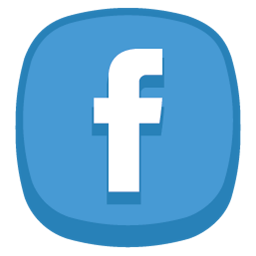 I am always happy to respond to requests for videos and blog posts wherever and whenever I can, you know me I just love sharing and interacting with you. Apart from the bunnies, your second favourite page layout I created was the clouds. I decided not to show how I created the bunnies as I have previously ran a 'how to draw a bunny' series and I thought this would be a bit repetitive. If you would like to see this tutorial then please click here. That being said if you do really really want to know then I would be happy to share. So on to the clouds. In the video I share with you how I created my pages from start to finish and I also talk about doodling on your pages as you go / once your week is already in progress and you want to fill in the gaps with your doodles. I have said a few times now that doodling on pages is how I first started with my Filofax decoration and also how I ended up selling my inserts on Etsy. It is the roots for me and is what I know. I never had a single roll of washi tape until my birthday in February of this year. I now have quite a few but that is by the by lol! I also rarely used stickers. I live in a very small village and my nearest town has no where to by stickers, even the supermarket has a poor selection and so other than buying online and paying a lot for postage stickers were not a readily available option for me. I am also a massive hoarder and can't bear to use / waste some of the stickers that I really love! I know there are other people out there with similar sticker hoarding tendancies lol! So doodling for me is what decoration on my pages is all about and it is what I love to do. 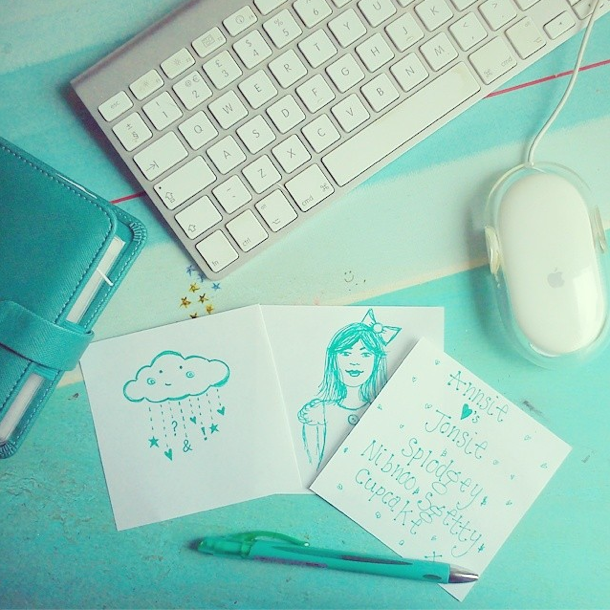 I love to doodle anyway and I regularly sit and doodle whilst on the phone or whilst working. If you do that too, you will start to see a pattern emerging. The shapes and pictures that you doodle whilst you are engaged in another activity are what your subconscious and the real true you enjoys. 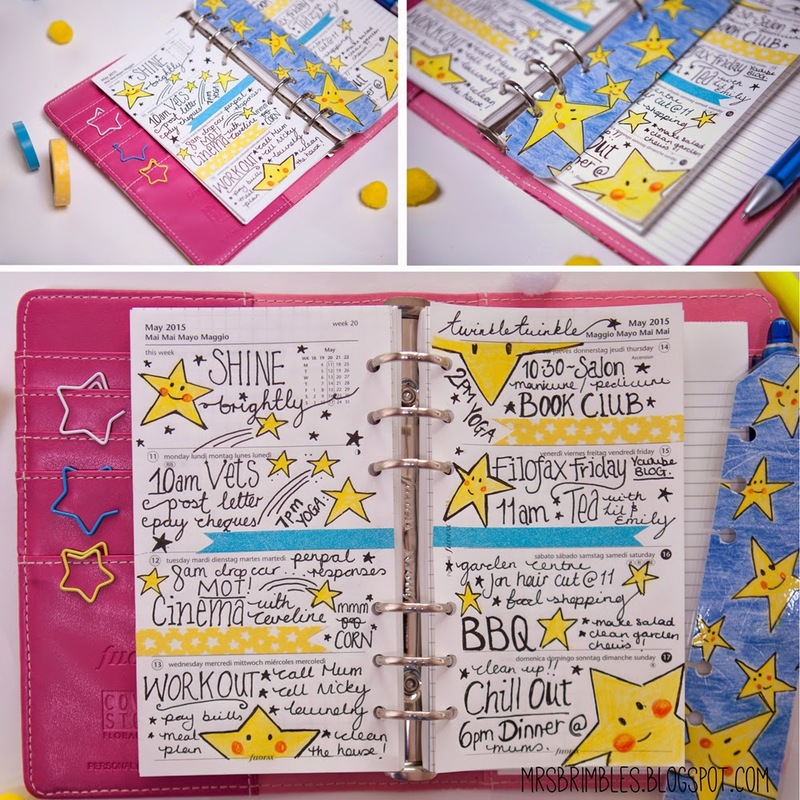 Save your doodles and go back to them, they will help you to formulate ideas on what you want to pull through into your Filofax decoration. For me bunnies, clouds, stars and hearts always appear. Everywhere! So clouds are a natural thing for me, I love looking at them and I love drawing them. I incorporate them into my art journal, they literally are everywhere around me so it makes perfect sense for me to bring this through into my Filofax decoration. So I started off with a fresh pair of pages. These are the ones that came with the Filofax for the Pimp my Filofax challenge. I do love to add a bit of washi tape in especially as I now have a few rolls. I know lots of you enjoy using washi tape too. I love it for adding a pop of colour or a pretty design. Washi tape in itself can help to spark inspiration for your overall decoration. 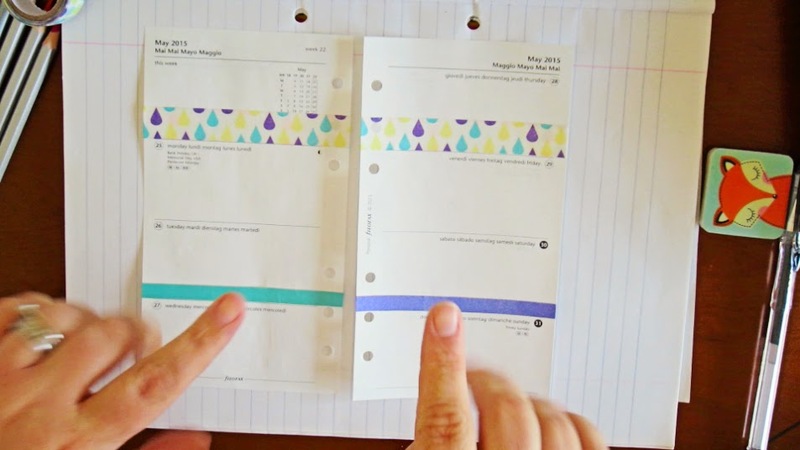 I also like the rain and find it very inspiring, the washi tape that I used hear is in a rain drop pattern and I purchased it from The Idea Owl. 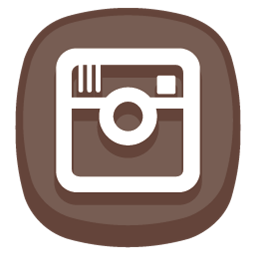 If you don't already know The Idea Owl also has an instagram account where she posts pictures of items for sale and you can add to your package and she sends you your paypal invoice once a month to get the items. I love the teal, yellow and purple combination - some of my favourite. The only thing with wider washi tape is that it can infiltrate into your space that you may want to write on. You can write on washi tape but you may not want to. I do bear this in mind when I am decorating my pages. I also like to use thinner washi tape as this doesn't take up so much of the paper. I used tape in co-ordinating colours that my penpal very kindly sent me recently and they match perfectly! Next I add in some doodles. I usually like to have a to do list section somewhere on my pages and I like to have this in keeping with the theme. In this case I drew a cloud shape so that I could seperate my to do's from my appointments. I also dew in rain drop shapes to use as my tick boxes. And then come the clouds themselves. I like to use pencil to colour in my doodles on my pages for two reasons. Firstly you don't have to worry about bleed through and secondly you can write over them really easily if you need to. I coloured them in blue as this was the first colour that came to hand whilst videoing but if I thought about it I would probably use a more co-ordinated colour and my doodles always have rosey cheeks, that is just a given! I just use fairly cheap children's pencils, not too cheap as they are scratchy and you really have to work at the colour but you don't need to spend a fortune. In fact using doodles and pencils are the cheapest way to decorate your pages over and over again! I really hope you enjoyed my take and thoughts on how I decorate my pages with doodles. Please do let me know if you would like to see more videos and blog posts on this line and I will do my best. Hi! 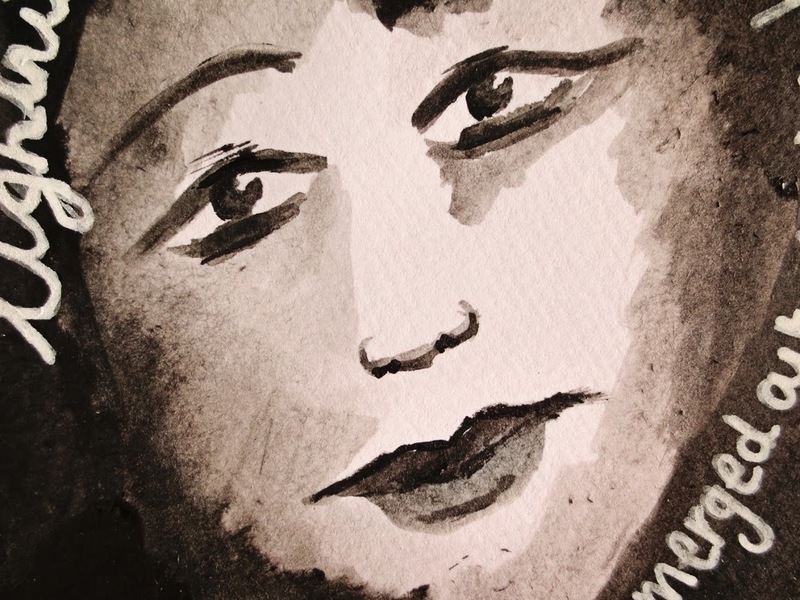 My name is Noémi, although I mostly go by Noa, here on the internet. 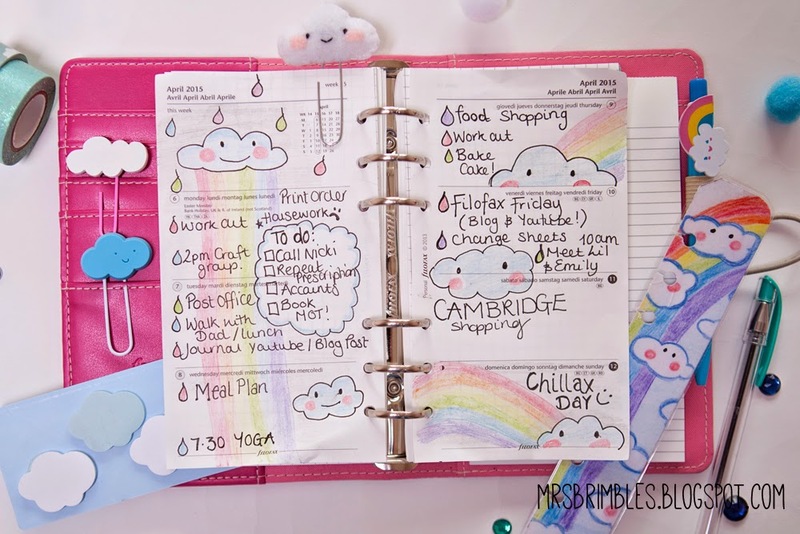 I am a blogger and designer, with a passion for planning and all things Filofax. 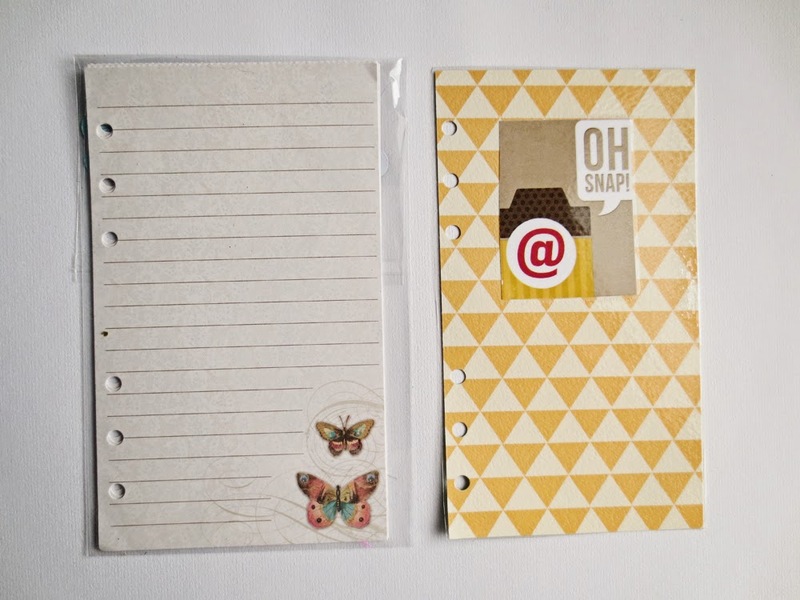 I create and design Filofax inserts, dividers and other goodies which you can find on my blog. Anna was really sweet and per my request, wrote a guest post on my blog, so, naturally, it was my pleasure to return the favor and aswer her questions about blogging and filofaxing. I’ve been a blogger ever since I was a teen and all through my adult life. 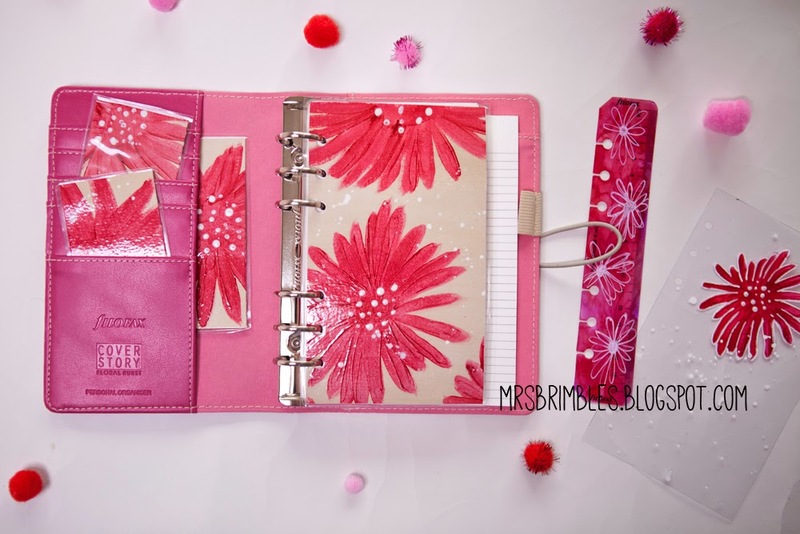 The only reason I ever had for blogging I think was that I wanted a platform to share my ideas and opinions, so blogging about filofax-related topics came naturally to me when I got more in to planning and Filofax in particular. I also decided to design a whole collection of Filofax goodies, and I thought a blog on the subject would be a good place to share and post what I come up with. Everything on my blog is somehow Filofax or planning-related. 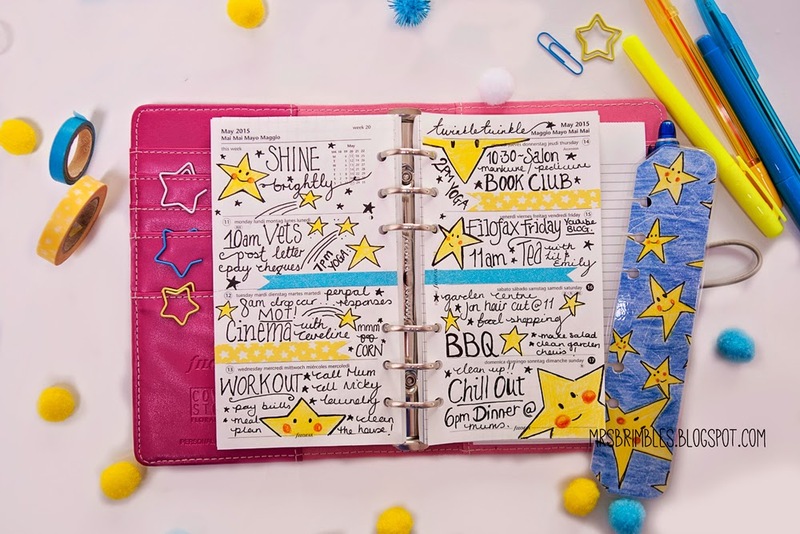 I’ve been a planner all throughout my life, there were times when it was almost excessive, but in the long haul, it has helped me overcome issues such as anxiety, panic attacs and self-esteem issues as well. I am also a designer, so combining the two and blogging about it was a natural process I guess. The people surrounding me in my non-virtual life don’t really care about planning or are not into Filofaxing, so blogging was also a way to reach out to a community with people who share some of the same interests as me. 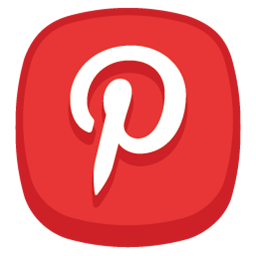 On my blog you can find my own designs that I upload on a regular basis, posts about planning tips, DIY projects that can make planning easy, cost-effective and fun. I am also a huge believer in recycling but mostly upcycling, and all my DIY tutorials to come will be based on working with what you have and making beautiful and functional resources out of them. 3. How often do you blog? Do you have a routine / set blogging schedule that you stick to? 4. 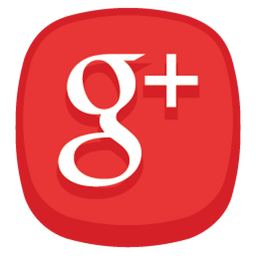 How do you organise your blog posts / what to blog about? Do you use your Filofax? I use my Filofax to write down post ideas that I have, and try to group them in the topics that I have up on my blog. 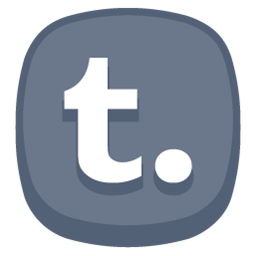 I usually write down what it is that I would like to blog about, and bullet-point some guidlines so that when I actually sit down to write a post I know exactly what to include. I am also working on an „organise your blog posts” insert series, that will be available as a freebie on my blog, so stay tuned! 5. Where do you get your blog inspiration from? 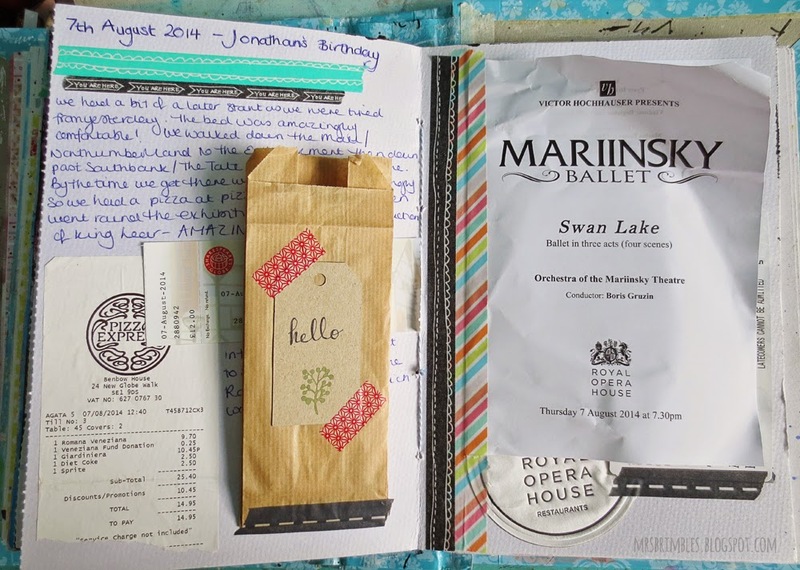 I love looking at other blogs, but surprisingly not just filofax-related ones. As a hobby, I am also very into fashion, and as far as the look of my blog goes, I was inspired by the sleek and minimalist look and feel of the fashion blogs I follow. In regards to topics and posting, both Pinterest and some of the filofax-related blogs I follow help a lot – they don’t just give me ideas, but with following them I can find out what others are blogging about and make sure that I’m not making the mistake of seeming like a copy-cat or just munching over the same subjects over and over again. Watching other blogs, the beautiful photos some people upload always inspires me to sit down and tend to my blog though, and I am trully greatful that such a community exists! 6. I love your woodland collection, what made you decide to create them and where did you find your inspiration from? Thank you! The reason I wanted to create a collection of my own in the first place was because I always have the tendency to customize whatever I have. When I got my first Filofax, it was no different. I’d be lying if I said I don’t like what’s out there: some inserts and designs that are already on the market are trully georgeous, but I wanted something more unique and fitted to my perosnality and needs. I also think of my planner as a very personal planning tool that basically assists me in my everyday life in whatever I do, so I wanted my dividers to reflect that. I came up with the idea of naming it Woodland collection and using nature as an inspiration because I started designing them right at the beginning of summer, in a time when I longed for the damp, windy woods of my native Transylvania. 7. What do you see for the future, do you envisage making more designs and inserts? Absolutely! I am already making plans for a new collection as I am finishing up this one, I have so many ideas! But first and foremost, I’m currently working on finishing up my current filofax-setup and making a video series on it, that explores and gives tips about different types of planning, using different resources etc. There will also be a detaild blog post about my finished setup soon. I am working on setting up an Etsy shop also, where all of my future creations will be available. 8. 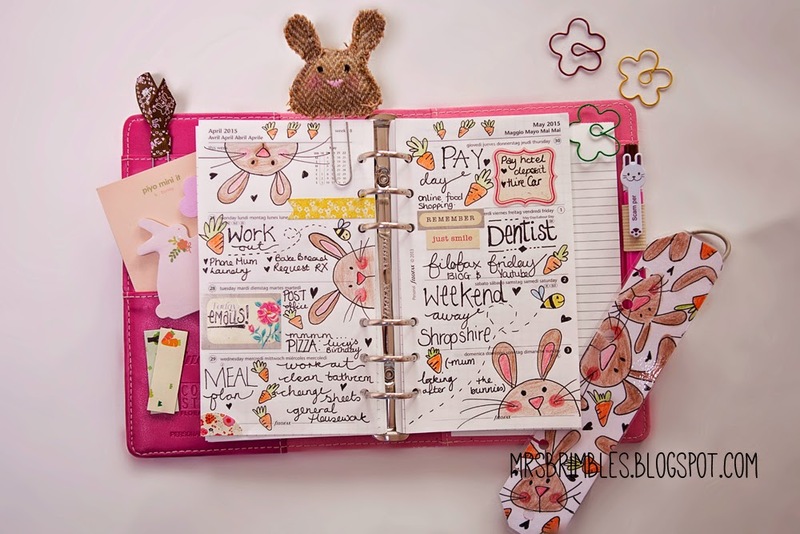 What sections and inserts are in your Filofax / What do you use your Filofax for? 1. Misc: my first section in kind of chaotic and contains a lot of stuff, mostly things that need to be at the beginning to be easy to reach. It contains my dashboars, business cards, a section with different colored sticky notes for quick reminders that wait to be filed away, year on 3 pages calendar with a place for notes and marking off birthdays and important e-mails. 2. 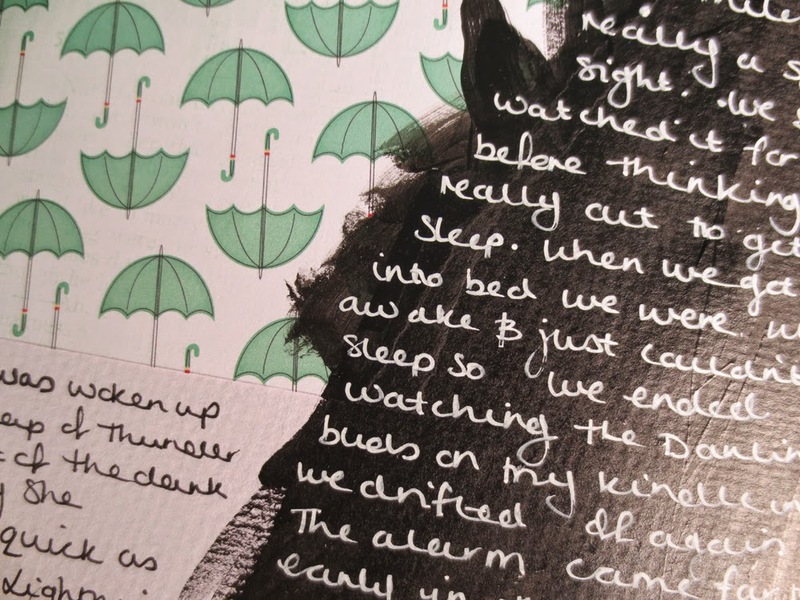 Diary: my diary section has a month on two pages for every month, followed by week-at-a-glance inserts for every week of every month. I use the month on two page inserts mainly to mark appointments, deadlines or important reminders, and I use the week-at-a-glance ones to write those particular things in more detail. I also have a blank sheet for stickies for every month where I write down the most important things to do in that period of time. 4. Goals: I have a goal section with my long term goals broken into small steps that I need to achieve in order to accomplish that big milestone. I also have a separate accomplishments section at the end of it and usually write down every small success I have to keep myself motivated. 7. Blank sheets of paper that I currently use to write down my blog ideas, will have separate, dedicated inserts for that though! 9. And what about the future with your Filofax? Where do you think that will take you? 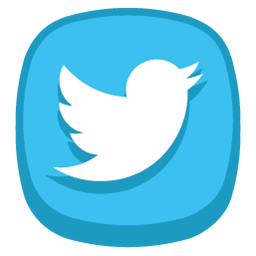 I hope that I will never get bored or tired of it, I am really, trully counting on it being the essential tool I need to keep my life from falling apart. I am working on perfecting my setup and making it foolproof, and although it’s easy to get distracted, I know it will be worth it in the long run. 10. What planners do you own? Do you use them all? Which one(s) are your favourite? I own a Filofax personal Saffiano in Aqua. My first “grownup” binder was a black, faux leather, A6 size Herlits one, but I gave it to my mother when I got my Saffiano. Owning more than one binder makes me feel uncomfortable I think, I like having everything in one place. I love my Saffiano and I think I’ll be using it until it literally falls apart lol! 11. What are your essential planning tools? Where do you shop for them? 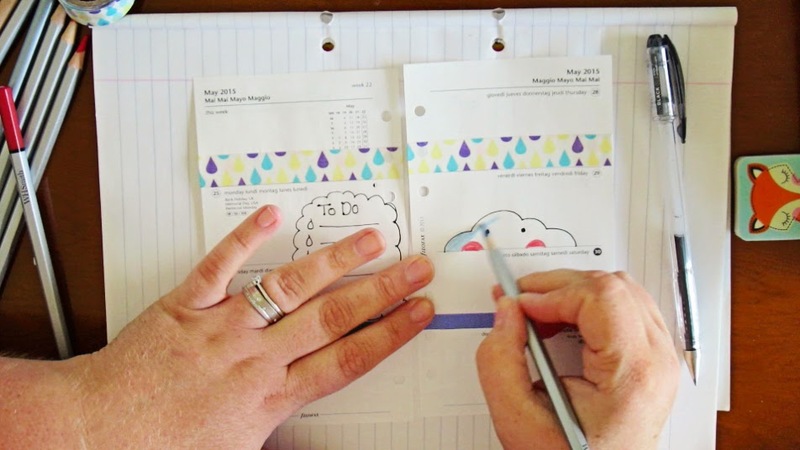 My most important planning tools would be my own inserts, which I design to fit my needs and have become absoutley necessary in my day-to-day planning routine. I also am starting to use chronodex, which is obviously not my invention, but there are many free downloadable ones out there. In addition, I buy small sized, colored sticky notes, gel pens and text highliters, which I use for color-coordinating. I also always have a small notebook that matches and fits the binder I am currently using, just to write down things that don’t necessarily go into one of my sections. I do buy the odd cute paperclip to mark one of my sections, but I’m not a big fan of stickers or washi. I usually shop at my local office supply store, but I also don’t pass out a chance to buy something cute online, especially if there’s a sale going on. 12. 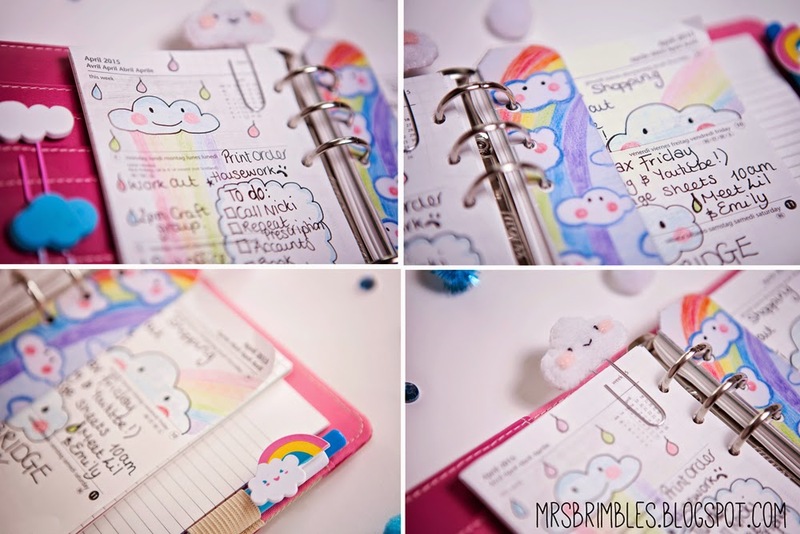 I love the planner charm that you recently made, will you be making more? Hi journal friends, I hope you have all had a fantastic week filled with lots of journalling opportunities. 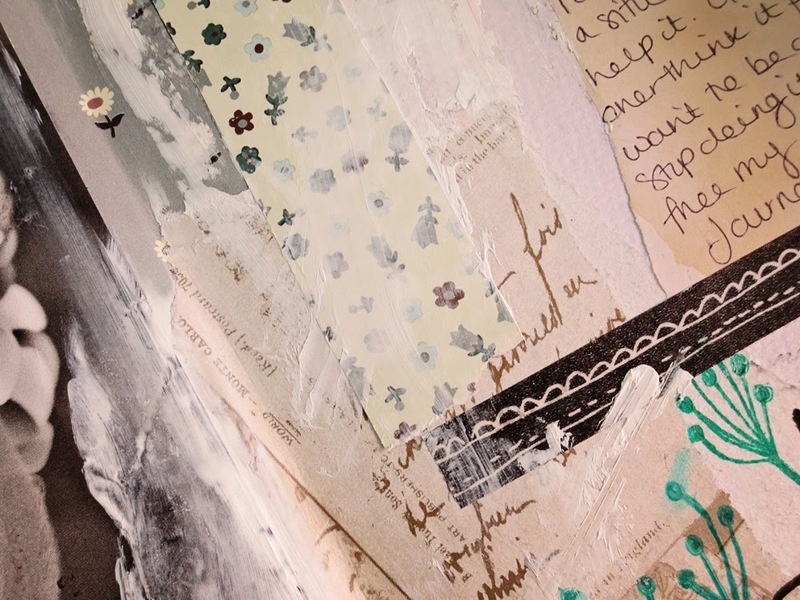 Are you finding it easier to find inspiration to journal about now? I am back this week with two videos and two different areas to talk about, the good and bad side of journalling. 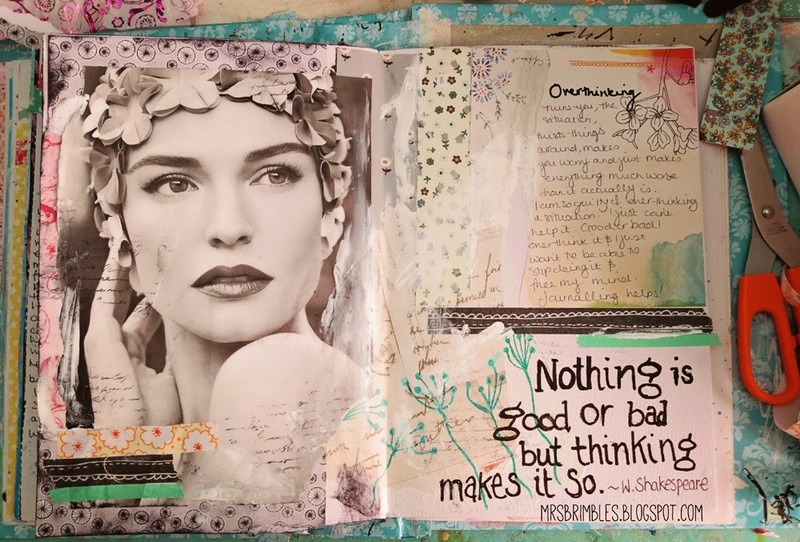 No wait there is no bad side of journalling itself, what I mean is journalling about the bad things that happen or about the bad side of life. Bad things happen to good people all the time and it is how we deal with the bad stuff that defines how much of a happy life we in turn have. We can choose to dwell on bad things and let them fester away inside of us or we can choose to process it and move forward with our life. In a way we sort of need the bad stuff to appreciate the good and it is also the bad stuff that helps to shape who we are as a person, it influences who we are, our attitude and our morals. Have a great week and I will see you for more on how I draw inspiration from around me into my journal. Wow guys I am so excited to type this blog post up! 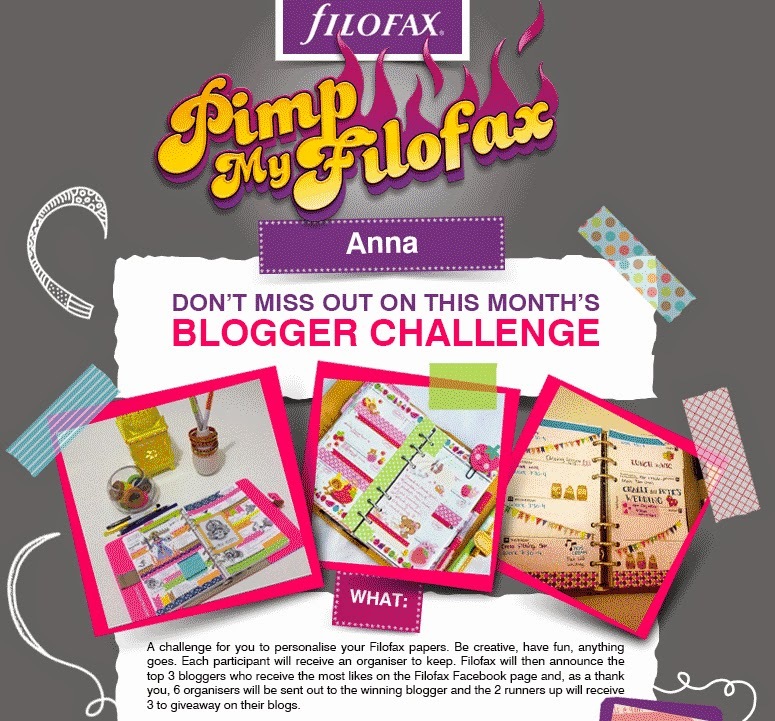 If you remember a couple of weeks ago I let you all into the secret that I was to be taking part in the 'Pimp my Filofax' blogger challenge. Well I have been working away and I am now pleased, no ecstatic to be sharing with you my pimped up pages. As you can see above, the challenge was to take the Filofax they had given you with the pages inside and pimp them up, they gave a couple of pictures as examples of the sort of thing they were thinking which you can see in the above picture. If you would like to vote for me please click here. Let me start by saying thank you to all of you lovely readers. Without you there would be no blog and without a blog I would not be able to participate in the challenge so thank you very much, please know that I do appreciate each and every one of you! This challenge was not easy. It sounds easy but to me it wasn't. I started battling with my inner critic about not being good enough and worrying about all the other entries but I sat down with her, had a cup of tea and said "look, it doesn't matter it is just for fun there are nice people in the planner community, they won't laugh at you". Well she listened and I was able to start on the challenge. Originally I had some really radical ideas. I tried a couple out and they were a complete and utter disaster, so much so that I am not even going to share them with you they were horrendous. What I can tell you is that involved items that you wouldn't normally expect to see associated with page decoration and there was even some sewing too! It was all a bit crazy. I felt like there was so much pressure because I really want to win so that I can give Filofaxes away to you and I started to create pages that I thought you guys would like and that is where it went wrong for me the most, I just couldn't do it. So what did I do? Well I started from scratch all over again! 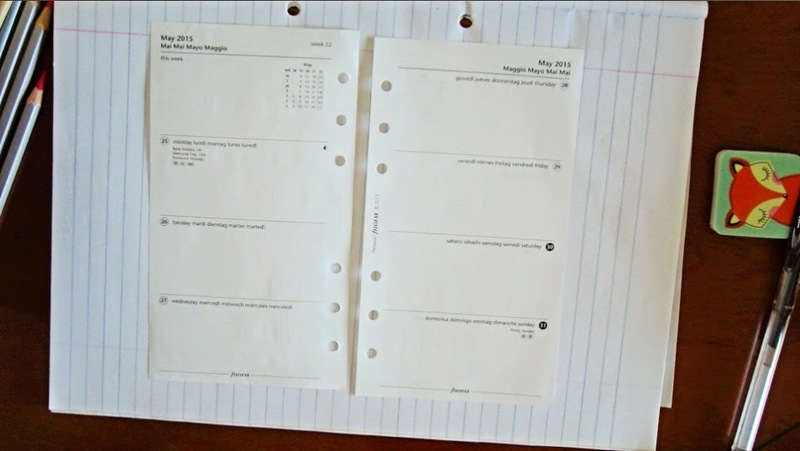 I decided to stay true to me and go back to my roots with how I started off with Filofax pages. I started my journey by doodling on my pages so this is what I went back to. I sat out in the garden on a warm sunny day with my pencils, nothing fancy just kids ones and a black pen and I just doodled and coloured in. It made me so happy and they are just so me. When I showed them to Mr B even he said they are you and that my other pages weren't, so I hope you like them too! OK so on to my pages then... lots of pictures to share with you. I really do hope you like them as you can see I did put a lot of effort, time and my sould into these lol! I am showing you all three pages that I submitted and it is up to Filofax to choose which ones that they want to use and you guys get to vote on your favourites! So here are my three you may see one of these available to vote on or you may see all three I really don't know. So first up we have the cloud inspired one, you know how much I like my clouds and how they are always appearing on everything. With all three layouts I also created a page marker to match! 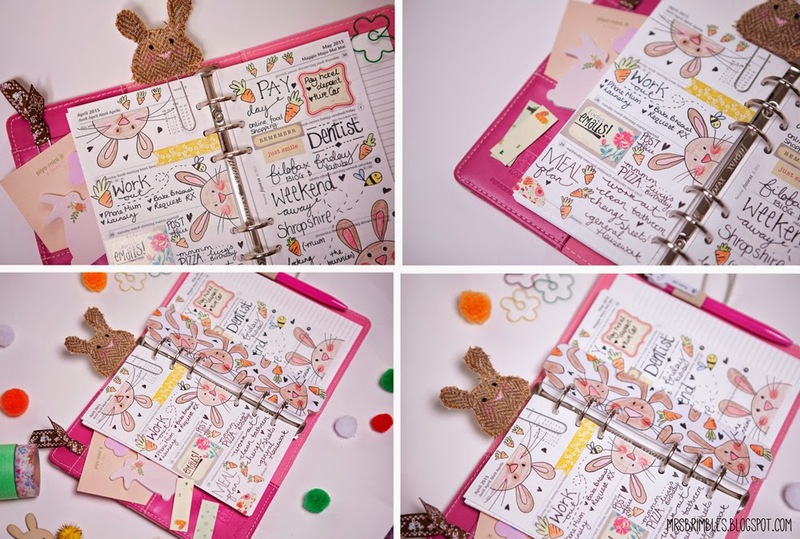 Next up is my 'signature' Peeking bunnies... which is the one that Filofax chose for the competition. I submitted all of my pages and they chose my bunnies. To vote for my bunnies please click here. And another sky inspired layout...Stars another all time favourite of mine! So there we have it, all three layouts. Do you have a favourite? Mine is the stars, I love the stars and it was also the last one I did and I think by then I had really gotten into my stride with it. I did do some other pimping bits... I handpainted a dashboard to match the outer cover and I also pimped up the page marker and the flyleaf that came with it. If you would like to see how I created these please watch the video as I recorded the actual making of these so that you could see. I also thought you might like to know how I created the page marker so that you could potentially jazz up the one that you have two. It is very easy to do, I just used Ranger Tim Holtz Adirondack Alcohol Ink, Red Pepper all over and then once it was dry I then doodle on it with a uni-ball Posca Medium Bullet Tip Marker in White easy peasey but it is all in the video if you would like to see it come together. Of course being the lovely person that I am he he, it would be silly to go to all the effort of making the dashboard and then it just sitting doing nothing so I have made it available as a free download so that you can print this off yourself at home, laminate it and hole punch and off you go! It matches the cover story perfectly but of course you can use it in any planner. 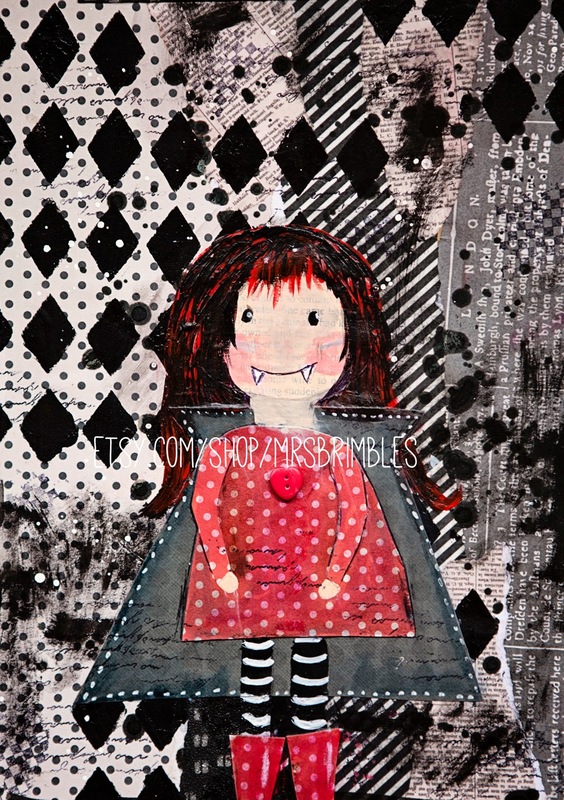 I have made it available in Pocket, Personal and A5 as well as a washi card. You will need software that can 'unzip' the folder to release the files as both pdf and jpeg. To download the files please click here. Please note that the downloads that I am offering as freebies as part of this series are different to the ones that I sell, so if you have already purchased anything from me these are in addition for you. If you haven't purchased any of my inserts and would like to or just have a nose at them you can view them in my Etsy shop here. Please note: These downloads are entirely free and a gift from me and only the downloads provided are free, I say this because I know some people might prefer one of the other designs that I offer but it is only the ones in the freebie set on offer at this time. So the thing is, if I win I get six Filofaxes to give away to readers and if I come 2nd or 3rd I get three Filofaxes to giveaway which is really awesome. Filofax gave me this particular planner to use for pimping and I am able to keep this for myself for taking part if I so wish to do so. The thing is it is a really very nice Filofax, there is nothing wrong with it in my opnion it is just that I am not all that keen on the design of the cover and I know a lot of people do like it. So I was thinking that it would be really silly to keep it all to myself when I am not that keen on it and probably wouldn't use it so I have decided to give it away regardless whether I win the challenge or not. So if you would like to enter the giveaway to win this Filofax please enter your details into the widget below. What you will win is the Cover Story Filofax as shown. I have literally only used this for pimping purposes and when not being photographed I kept the plastic covering on so it is basically like new. Most of the inserts are still in there however the first half of 2015 have been used so will not be available for use. I will leave my pimped pages in there so you can have those and do with them what you will, the only thing I will take out are the matching page markers as I want those lol! I will also leave in the matching dashboard, washi cards, pink page marker and flyleaf. Well all that is left for me to say now is please vote for me! 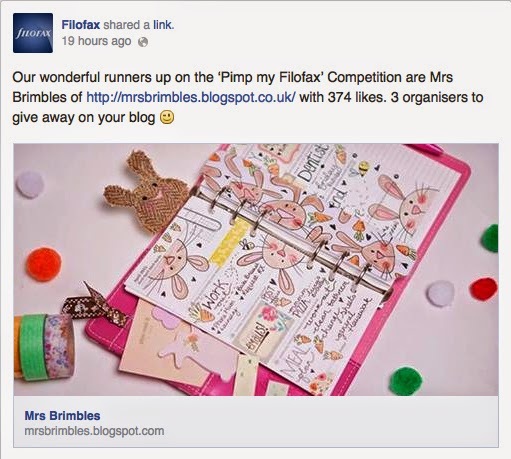 All you need to do is hop on over to the Filofax Facebook page and there you will be able to see all of the entrants. You don't have to vote for me obviously but it would be super duper cool if you did! Just vote for your favourites and the one with the most likes wins. 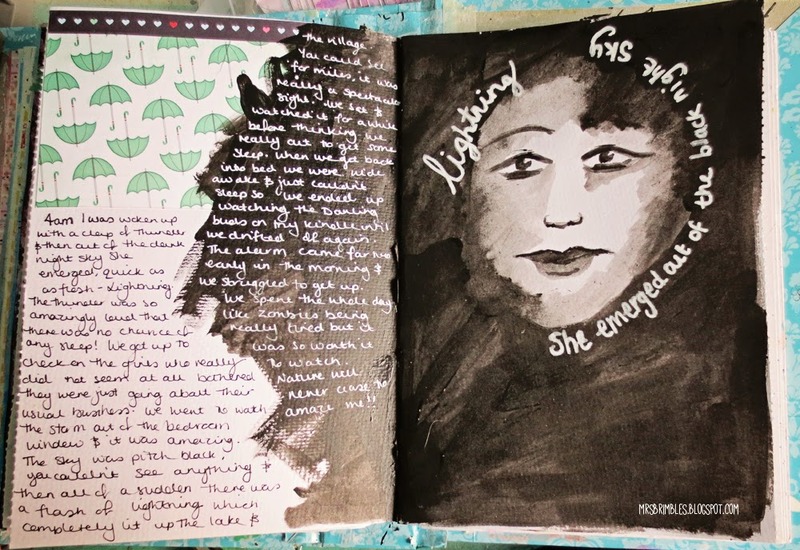 Finding my inspiration to Journal - Storms! Hello journal friends. I hope you have a had a really great week and have truly been able to look around you and draw inspiration from your life to journal about. This week I am sharing with you how I found my inspiration from a storm. It has been really hot here in the UK but we have also had some storms. One night we were woken up just before 4 am with lots of thunder and really heavy rain. We got up firstly because it was too loud to sleep and secondly because we wanted to check on the piggies and bunnies to make sure that they weren't scared by the storm. They were absolutely fine and looked at us like we were a pair of loonies! So we were up and we were awake so we decided to watch the storm out of the bedroom window. We live in a small village in the countryside so we don't really have many street lights so when it is night time it is absolutely pitch black outsidebut then every so often the darkness was punctuated by the most spectacular lightning that totally lit up the lake. It really was very beautiful so I grabbed my camera and tried to record some of it for you. Unfortunately the storm was moving away so I only got the one flash and not a very bright one at that but I think you will agree, still beautiful. So this then became my journal inspiration. Over on the Journal Gypsies blog I have been talking about my Weather Goddesses which is another thing that inspired me with this page. 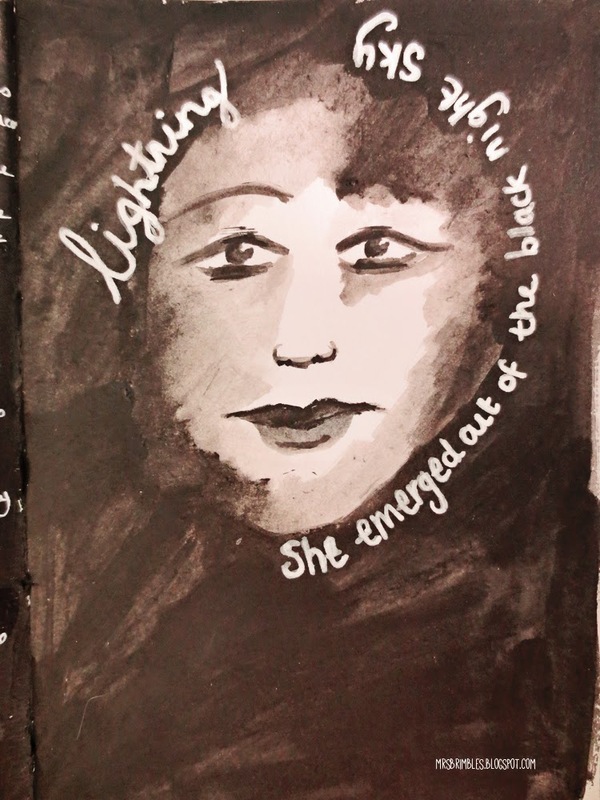 To me Lightning was like a lady of the night, she comes out of the darkness for small glimpses and disappears again as quickly as she came. You need to be quick to see her! Well that was the inspiration behind the page and here is the page itself. I am not 100% happy with how it turned out but I do think it represents how I was feeling and what I wanted to convey so I am happy with it from that point of view. I was just so tired, by the time we got back into bed we couldn't sleep as we were so awak and then the alarm came all too soon for our liking! I just wanted to share that bad situations can also be good. There are two ways of looking at the storm that night. Firstly you could moan because the storm woke you up so you were really tired or you could be glad that the storm woke you up because then you had a chance to marvel at natures creation. How we as human beings deal with the bad and sad times ultimately dictates how much of a happy life we have! I talked about it a bit at the end of the video but I will touch on it again at another time. I have a few ideas up my sleeve for prompts and things for you as well as showing you more of how my pages come to be so I just need to work out how and what I am going to do with those before I share but please just know that it is coming really soon. I hope you get your journal out and have fun creating this week, see you soon!